We're pleased to announce that the program for the 2015 Staff & Managers Pre-Conference has been finalized! This all-day program, held on Friday October 30th, serves as a networking and learning forum for co-op staff, managers, and administrators from across Canada and the United States. The Staff and Managers Pre-Conference supplements NASCO Institute programming offered on Saturday and Sunday and allows more space for participants to connect with one another and dig deeper into specific issues. The pre-conference will feature a four-hour interactive workshop, led by Matt Hancock of the Praxis Consulting Group, that will engage participants in exploring how their co-ops can be developing a culture of collective leadership, share best practices from cooperatives in the United States, Spain and Italy, and explore the role that leadership plays in a co-op’s success as a profitable business. This session will focus on ways of incorporating mentorship (staff-to-staff and staff-to-members) into the process of leadership development and the vision of collective leadership. In the last few months, the primary focus of NASCO’s staff has been preparation for NASCO Institute, which is just around the corner! Registration and scholarship applications are open, the conference schedule and course list are on our website, and posters have been mailed to hundreds of co-ops and organizations across North America. We’ve finalized programming for the Staff & Managers Pre-Conference, recruited keynote and plenary speakers, wrapped up Hall of Fame inductions, and are confirming the route for the Detroit Tour. This is shaping up to be an excellent conference, and we hope you’ll be joining us in Ann Arbor next month! 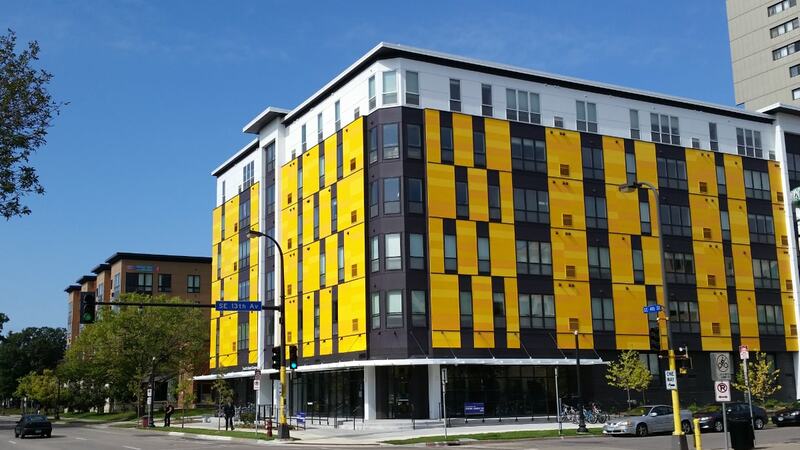 After a year-long process that involved demolishing a co-op and rebuilding it from the ground up, we’re pleased to share that Fourth Street Housing Co-op in Minneapolis, Minnesota has reopened its doors! This co-op, which is governed by a 16 member board and managed by Riverton Community Housing, belongs to a system of five cooperatives that offer apartment-style, affordable housing to students since 1973. The new, modern Fourth Street Co-op offers 66 units of apartment-style cooperative housing. Check out local news coverage of the co-op’s renovation here and here! Ben Pearl will be inducted under the category of Local Hero for his dedication to supporting cooperatives in Davis, CA for the past twelve years. Ben guided the Solar Community Housing Association through multiple expansion projects, helped to prevent the closure of The Domes Co-op, and built alliances between various cooperatives, bridging between local co-ops and external institutions. Ben was nominated by April Kamen and Justin Ellerby. Nominations are open for NASCO's board! We're excited to announce that nominations are now open for NASCO's board of directors. This is an opportunity to be part of the governance of a bi-national cooperative organization. In order to run for the board, you must be nominated by either one Active Member cooperative, two Associate Member organizations, or five Individual Members of NASCO. Nominations must be received by November 6, 2015. Active members can download the nomination packet and nomination form. (If you are an Associate Member, you can use this nomination packet and nomination form, and if you are an Individual Member, you can use this nomination packet and nomination form). The NASCO Cooperative Hall of Fame, created in 1989, honors the best of our movement. We use the Hall of Fame as a means for NASCO member co-ops to provide broader recognition to individuals who have made a truly significant impact. As a member of the NASCO community, you may have knowledge of someone past or present who is deserving of recognition. Nominations can honor people that perhaps should have been recognized long ago: a co-op founder, a long-time member or employee, or any other significant contributor. We are also eager to show that current members and staff can have a similar impact on their cooperatives, so we make a special effort to induct some individuals who are current or recent 'movers and shakers'. A committee of former Hall of Fame inductees and current NASCO board members will select inductees to the 2015 Hall of Fame. The induction ceremony will take place on the Saturday evening of NASCO Institute, October 31, 2015. If you know of a special person who should be honored, please let us know. Nomination forms must be returned via email to morgan@nasco.coop or to the NASCO Office at the address below by September 06, 2015. In the 2014-2015 fiscal year, NASCO provided free development assistance to 30 groups across the United States. We are currently working with existing and forming co-ops in Chicago (IL), Houston (TX), East Lansing (MI), Athens (OH), Lawrence (KS), Minneapolis (MN), and Ann Arbor (MI). It is exciting to see so many groups making progress toward purchasing properties. NASCO Properties has concluded its RFP process and is actively engaged in purchasing new properties for The Vine Co-op and the University of Kansas Student Housing Association. The NASCO Staff and Managers Conference was held March 30 and 31, 2015, in Austin, TX - there were 24 attendees from 12 cooperatives, which was the highest conference attendance in over a decade. Out of a pool of forty-four applicants, the Cooperative Internship Network matched eight interns with seven hosting organizations. The hosts include Boulder Housing Collective, College Houses, Cooperative Development Institute, Twin Oaks, and the Philadelphia Area Cooperative Alliance. The west coast regional co-op conference, WestCo, was held from April 24-26, 2015 in Berkeley, CA. Earlier this month, five youth cooperative leaders travelled to Washington D.C. to attend the National Cooperative Business Association (NCBA CLUSA) Annual Conference. These first-time attendees were funded by the CHS Foundation, through a program organized by NCBA CLUSA and supported by NASCO, the U.S. Federation of Worker Co-ops, CoFED, the U.S. Cooperative Youth Council and the Rocky Mountain Farmers Union. Additional participants were supported by the U.S. Cooperative Youth Council. 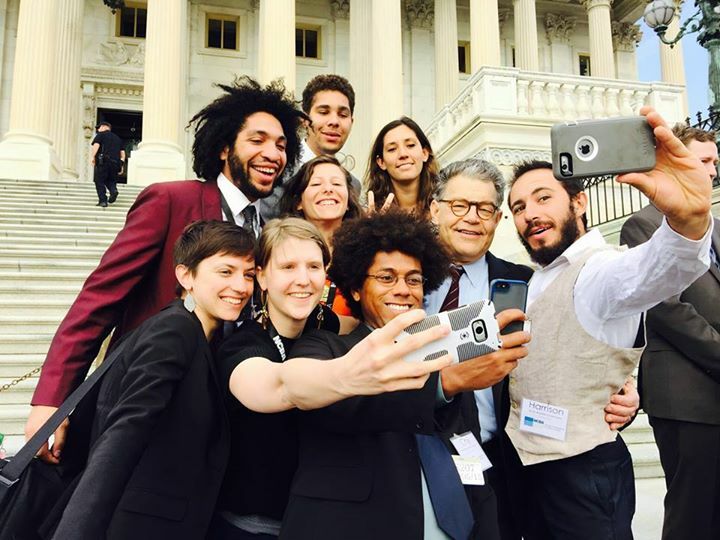 The inclusion of new voices at the conference made a notable impact in D.C., and we look forward to growing programs like this in future years to continue to amplify youth voices at a movement-wide level. What is it like to live in an ecovillage, cohousing neighborhood, or another intentional community? How do you start one, sustain it, grow it, and solve the hardest challenges? 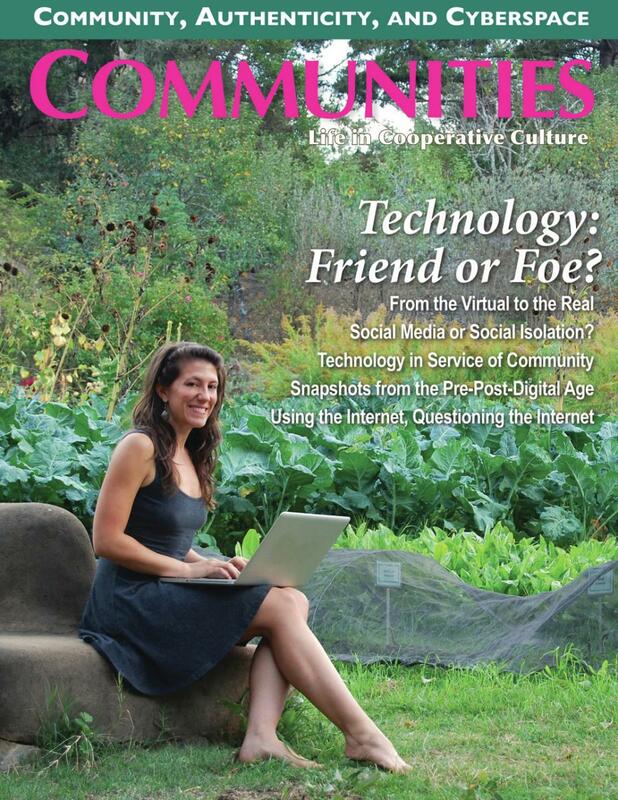 Communities magazine exists to address these questions and to share new models for sustainability. For over 40 years this publication has connected people to the pulse of the communities movement, by chronicling the people, organizations, ideas, and methods making it happen. Discover inspiring examples of cooperation and creativity, as people work together to solve problems and create a better, more equitable, and ecological world. In 2010, a small group of folks found a neglected patch of Baltimore that was was ripe for growing food and community. They formed the Baltimore Free Farm collective to begin working the vacant lots, growing and distributing food, and fixing up derelict and abandoned properties in the area. After visiting their friends at the Red Clover Collective, a housing co-op that NASCO had recently assisted in organizing, they decided that they too should use the tools of cooperation to ensure that residential properties could be permanently used to provide affordable housing in a way that supported and enhanced the community. 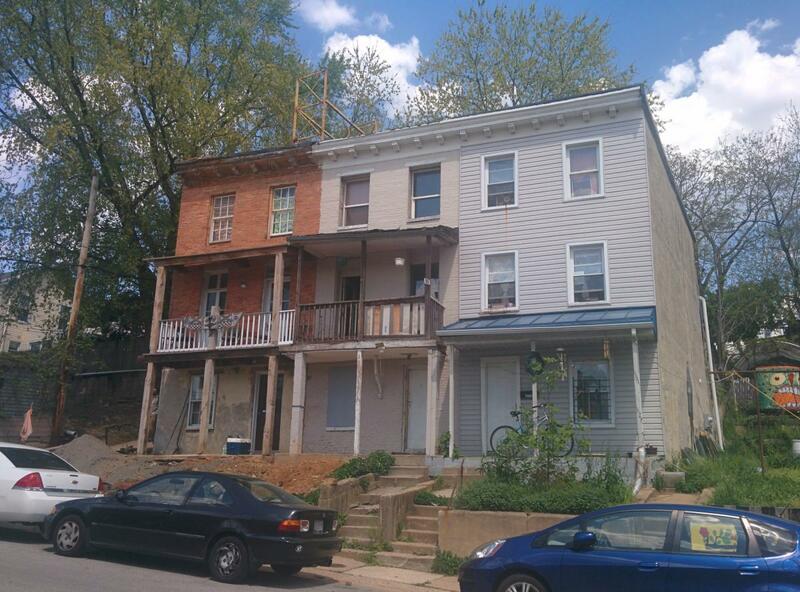 In 2013, they formed a cooperative, Horizontal Housing, and set out to purchase 3 adjacent row houses that were at the heart of the community farming efforts and could house 10 people.